NORMAN JACQUES - may hold the record for working at Hasbro the longest. Before his retirement, he had been with the company for forty-six years. During his college days, he worked at the Hasbro factory and went to school at night. After a stint in the military, he returned to Hasbro, working his way through the ranks to Structural Packaging Engineer and later, Director of Packaging. 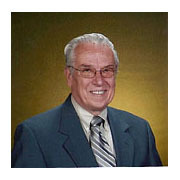 He met Sam Speers in the early 1960's and Sam hired him in the newly formed R&D department. Packaging was his primary job. The big talk at the time was something about making a poseable male figure similar in size to the Barbie doll...which ultimately became G.I. JOE! Norman developed a formula for G.I. JOE’s scale that was used to make all of the vehicles and accessories. From that point on, he spent a lot of time at the Providence National Guard Armory measuring jeeps and trailers, and obtaining manuals that were needed to scale a jeep to the proper size. Model maker Walter Hansen then designed the jeep and Norman took care of the trailer. Everyone pitched in and did whatever was needed to accomplish the goal of getting this new product line off the ground. As the company grew, packaging became a full time position with six engineers. Norman ended up being the Director of Packaging for forty years.